The Online Hacktivist group Anonymous announced it plans to reveal the identities of about 1,000 Ku Klux Klan (KKK) members on 5th November, the day of the Global Protest movement known as the Million Mask March. Million Mask March, where protesters don Guy Fawkes masks in hundreds of cities around the world, and march together against the corrupt Governments and corporations. Ku Klux Klan (KKK) is classified as a White Supremacist Racist group by the Anti-Defamation League and the Southern Poverty Law Center, allegedly having total 5,000 to 8,000 members. It was founded after the Civil War by former Confederate soldiers to fight against the reforms imposed by the North during Reconstruction. “We've gained access to yet another KKK Twitter account. 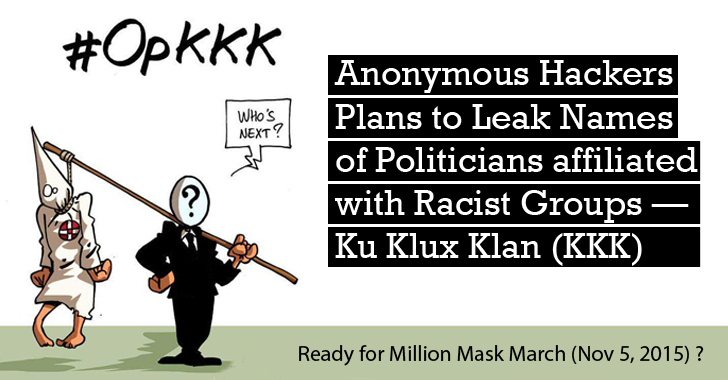 Using the info obtained, we will be revealing about 1000 Klan member identities.”, Anonymous Hackers tweeted last week. The list of 1000 KKK Members, to be released on 5th November, apparently includes the names of US Politicians, according to the hackers affiliated with Anonymous — Operation KKK. "You operate much more like terrorists, and you should be recognized as such. You are terrorists that hide your identities beneath sheets and infiltrate society on every level,” the hacker collective said. Yesterday another group of Anonymous hackers, not members of Operation KKK, published the first batch of information (unverified) on Pastebin, which includes total 57 phone numbers and 23 email addresses allegedly belonging to KKK members, along with names of 4 U.S. Senators and 5 City Mayors. 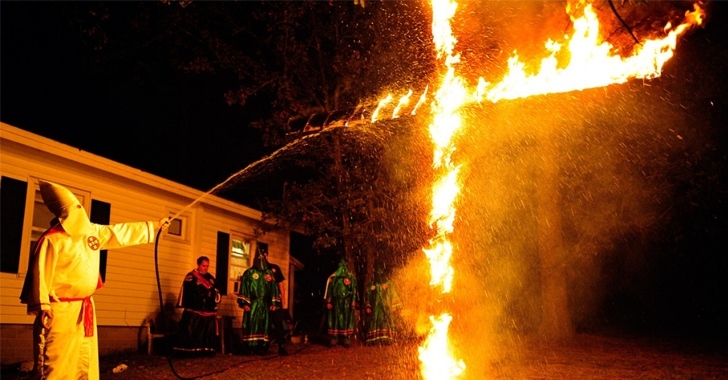 However, Hackers affiliated with Operation KKK denies any connection with the above leak and promises to release its own 1000 KKK Members list on the 5th Nov.